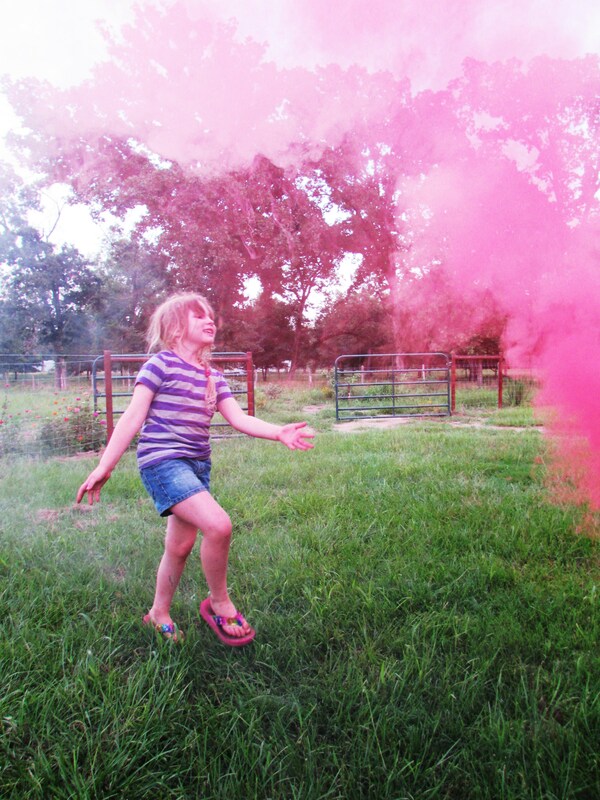 Our 4th of July was simple and fairly noise free. 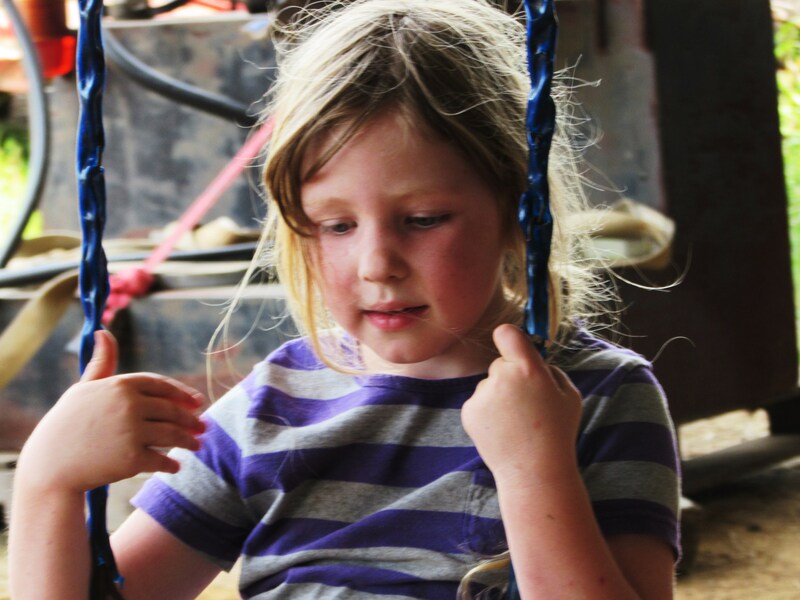 We drove 2 hours to Louisiana, my husband shod 2 horses, Addie enjoyed the swing and I took turns watching them both. 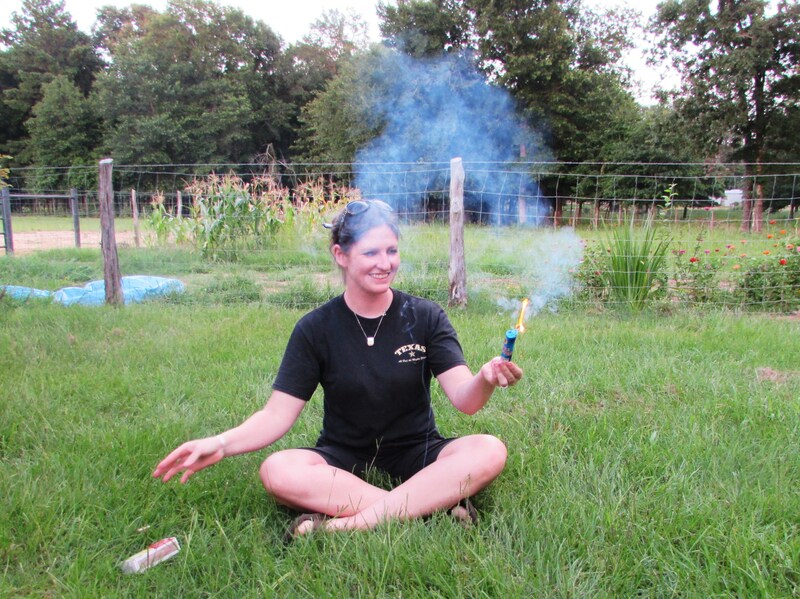 Then we drove 2 hours home, grilled some ribs and veggies from the garden and did fireworks. 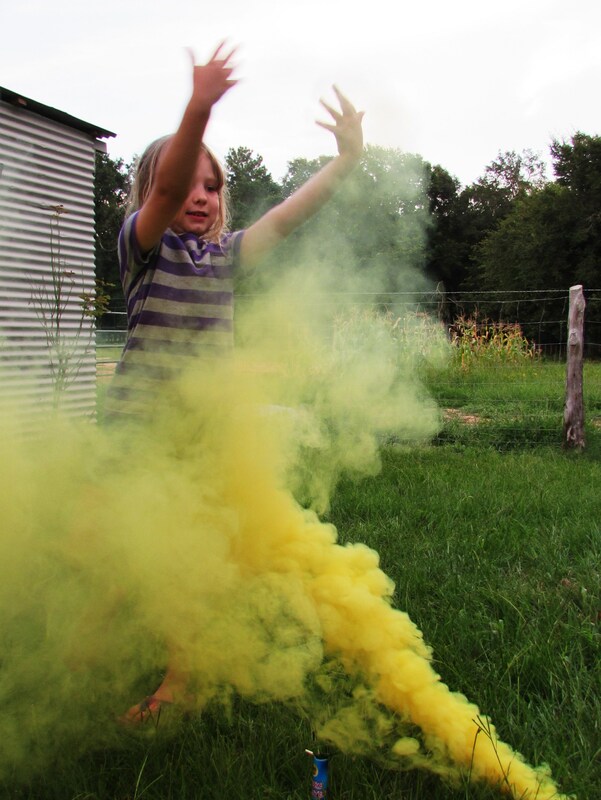 The smoke bombs were first. 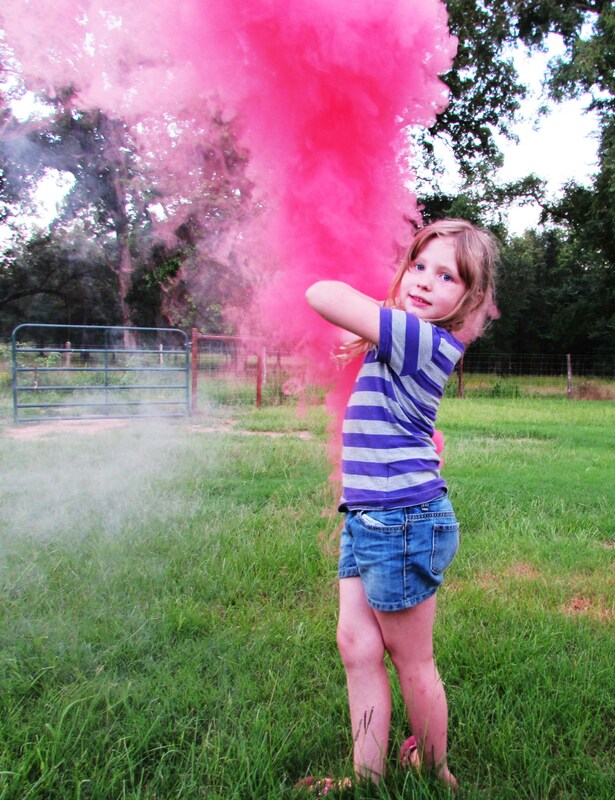 I love smoke bombs. I no longer have to say “smile Addie” when I take her picture. I have her trained. 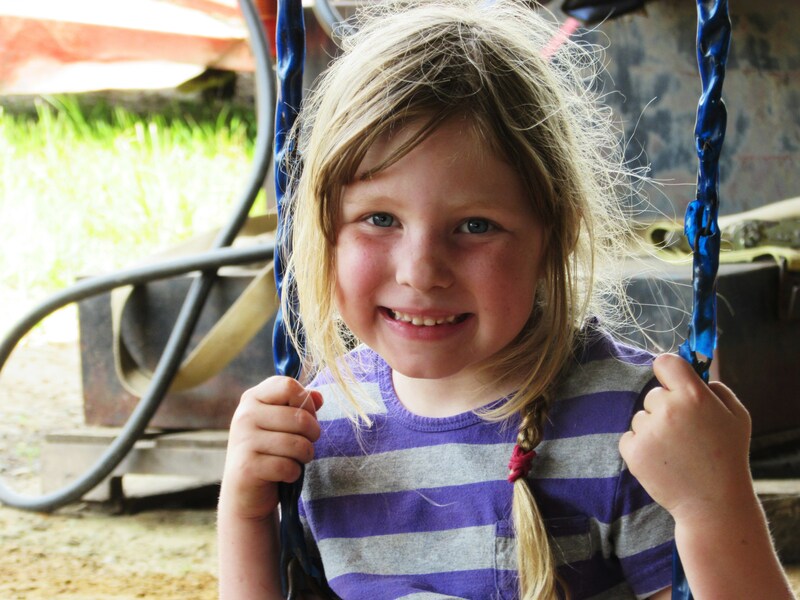 Keeping her hair brushed…..we are still working on that. But the smile, she has that down pat! I’m pretty sure you aren’t supposed to hold these in your hand. Don’t try this at home kids! 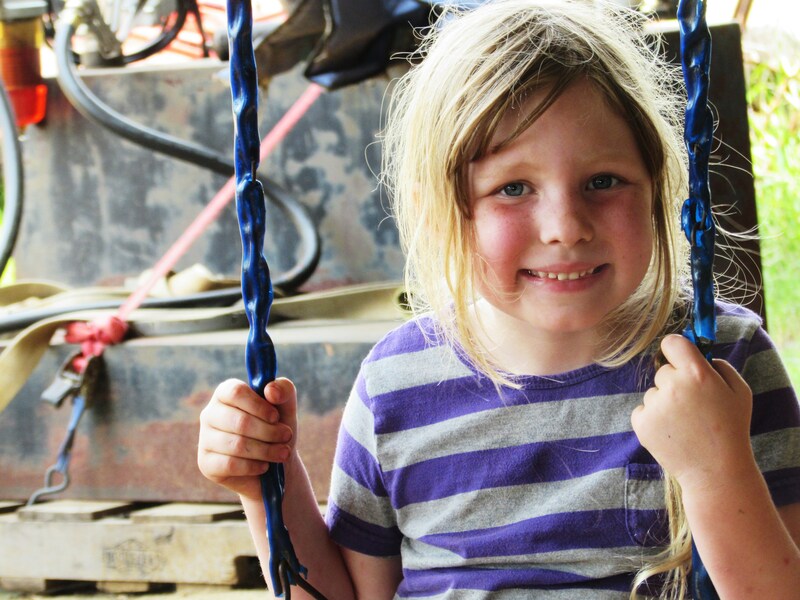 Did you do anything extra fun this past Friday? Oh, your little one is adorable! How sweet is that smile… 🙂 Just melty!! I don’t actually celebrate holidays of any kind (though I DO love watching fireworks for sure! ), so the 4th just came and went. BUT – I did have a fab time out in Windsor shopping with my daughter, grown now with kids of her own, but I still love pampering her. I got her some bits for her Pandora bracelet and we had a glorious Italian coffee in the sunshine! 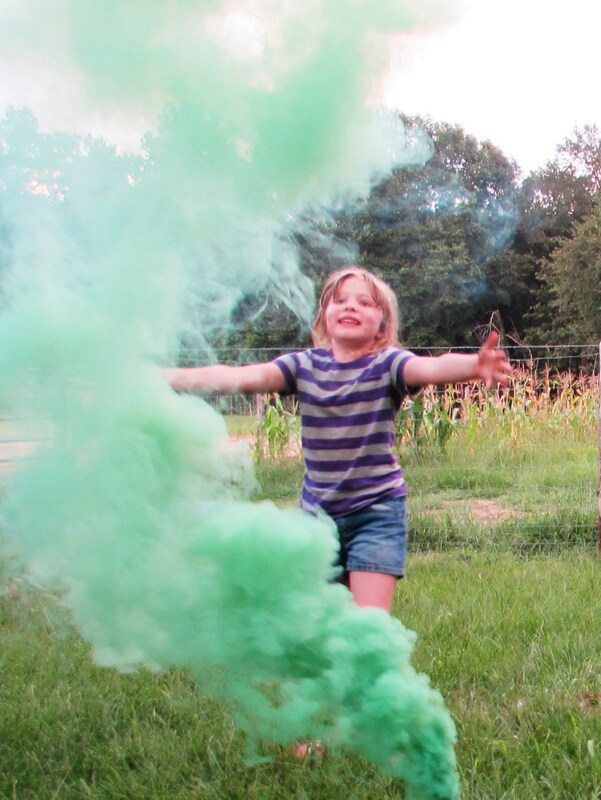 Glad your weekend went well… the smoke bombs look like stinky fun! 😀 Btw – what is the breed of your rooster pictured in about.me? He’s a beaut! Thank you, I love my Addie (even when she is a tart!). Sounds like you had more excitement than I did, shopping and Italian coffee sounds divine! 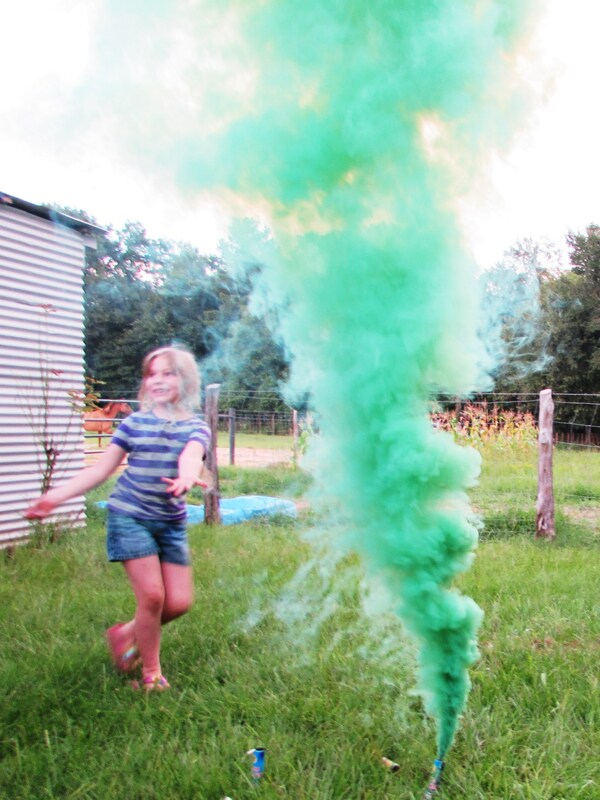 And the smoke bombs are great fun, I also like them because they are silent. And my rooster, his name was Roger Dodger and he was a Rhode Island Red. He was rather wicked and he went to live with my mother and a fox ate him. But he was very easy on the eyes! 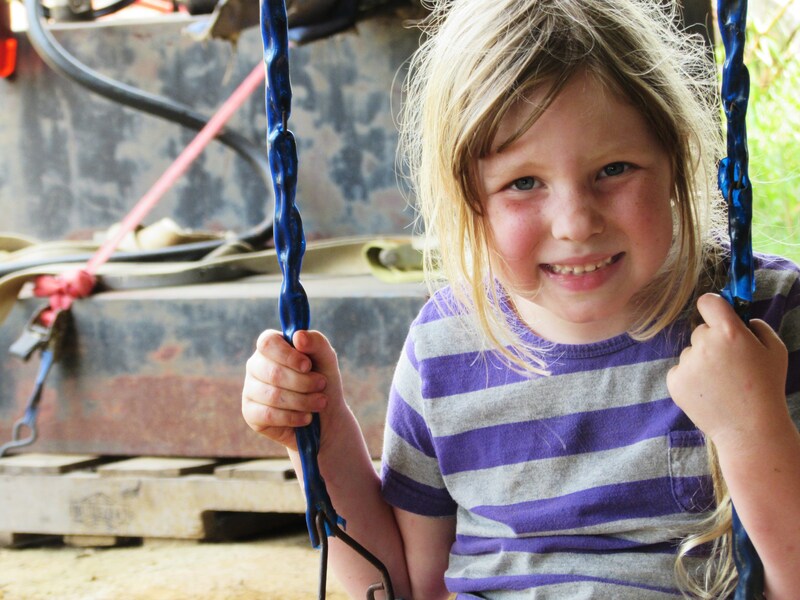 Are you really married to a farrier, too? Too funny. Looks like you guys had fun!